Lock in your message with a durable self-locking tag. These tags stand up to frequent wear and abrasion to resist falling off your equipment. In both designs, the tail wraps around and into the slot at the bottom of the tag. Pull the tail snugly through the slot until it "locks" around your valve or other instrument. The lock-on design will keep your tag in place. • Heavy Duty Polyethylene tags a glossy dry-erase finish (think of a typical “white board”). Tags wipe clean with a cloth, for quick on-site marking and re-marking. • Affordable Vinyl Tags. Tags also feature the self-locking feature, but are best for single use. 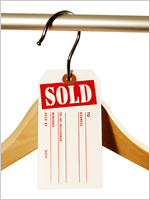 • All self-locking tags are available in a range of colors – to help you color code your equipment or procedures. 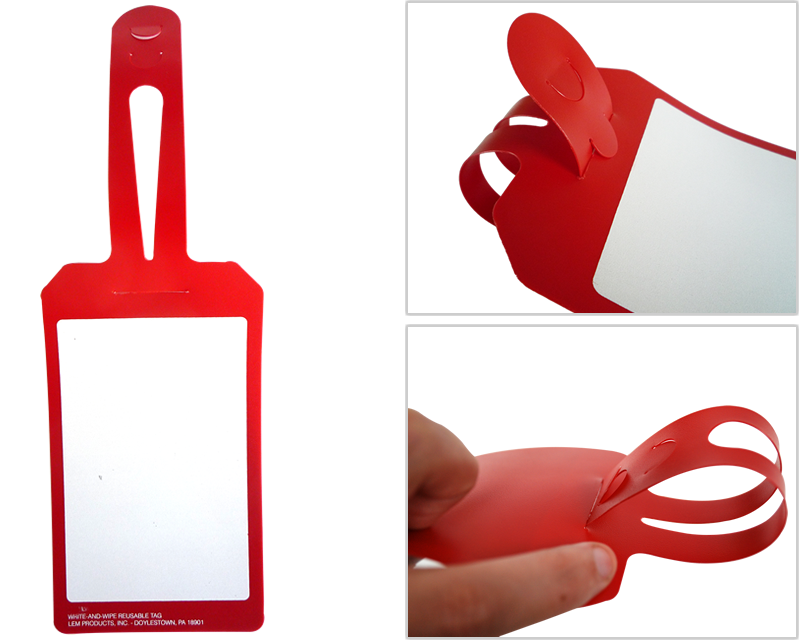 Heavy Duty Polyethylene Self Locking Tags, Dry Erase Plastic Tags - 4" x 7"
Our premium self-locking tags feature our dry-erase feature for easy reusability. Low cost vinyl tags are best for single use. 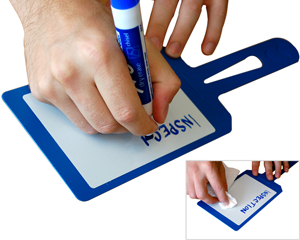 They feature a large write-on area and easy-locking tail. 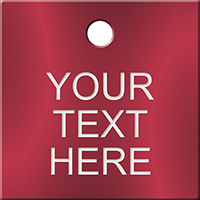 Click one of the links below to see a range of printed -locking tag designs – including templates that you can easily personalize. 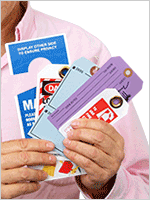 Self-locking safety tags are a great way to mark defective equipment, valves or repairs. Great for tagging children's book and lunch bags. Love love love these tags! They work great as a reusable name tag for the kennels in our shelter. second time ordering these and will order them again! We are using these to label linen orders we are sending out and they are PERFECT for our needs!